Mrs. Rainer serves as a senior lecturer teaching Clinical Methods and serves as the clinical coordinator for the community speech, hearing, and language clinic. She is responsible for the graduate clinical placements both locally and nationwide. Before joining the faculty of Baylor University, Mrs. Rainer was a public school therapist with a varied caseload. In addition to responsibilities at Baylor, she has also gained experiences in home health, hospitals, rehabilitation, skilled nursing, other public schools, and private practice. 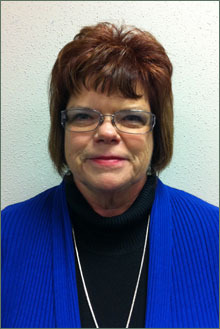 In addition, she has served on several task forces for Texas Speech-Language-Hearing Association. Mrs. Rainer is married to her best friend, Chris. They have one daughter, son-in-law, and grandson. Mrs. Rainer attends First Baptist Church of Lorena where she is an active member, serving on several committees, teaching, and singing. Mrs. Rainer enjoys shaping the future in speech pathology by being involved in the academic and clinical lives of her students.